What are you having for lunch today? 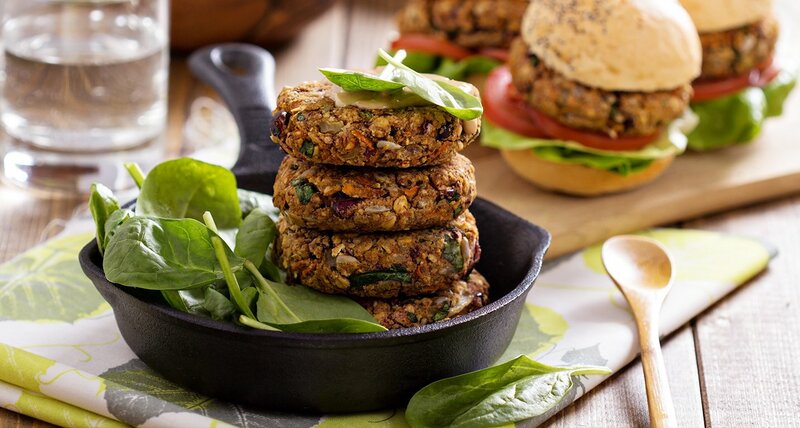 Enjoy a delicious tasting plant-based burger made at home. There are so many harmful ingredients in most commercial burgers, especially the dangerous animal-based burgers. Have some fun in your kitchen with safe and easy ingredients for your next burger. Place all ingredients in a saucepan except oats and nuts; simmer together for 3 minutes. Remove from heat and stir in old fashion oats and nuts. Allow sufficient cooling to handle in next step. bake at 350 degrees until browned on both sides.